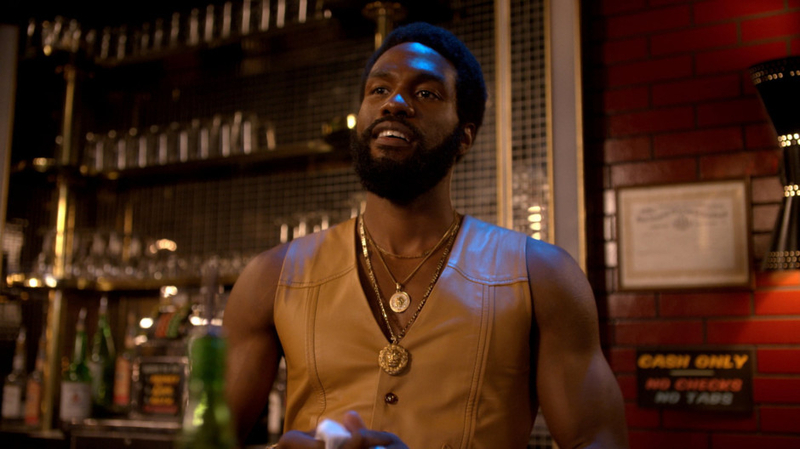 A few years ago, things weren’t going so well for Yahya Abdul-Mateen II. Even with an architecture degree from the University of California, Berkeley, he found himself laid off and out of luck. Rather than look for another job in the fields of housing or public policy, where he had planned a career, he decided to take a risk. “Acting was always in the back of my head,” Abdul-Mateen said. So he left the Bay Area for Los Angeles with the notion that if he could somehow get cast in a McDonald’s commercial, he might end up with a bit part in a soap opera, which could lead to a role on a bigger network show. “I made a plan: If I hadn’t done anything in three years, I was going to say, ‘OK, back to a job in an architecture firm or public policy,’” he said. In Los Angeles, he auditioned for an educational theatre group, only to be told he was too old. But the instructor’s husband was casting a small production of Twelfth Night, and soon Abdul-Mateen found himself playing Antonio. He ended up at the Yale School of Drama, an incubator for stars like Meryl Streep and Lupita Nyong’o. In the summers, he got more stage time at the Williamstown Theater Festival in Williamstown, Massachusetts, and with Shakespeare in the Park in New York City. With its focus on nascent hip hop, punk and disco, The Get Down, which starts streaming on August 12, may strike viewers and critics as a corrective, of sorts, to another show set in 1970s New York, HBO’s recently cancelled Vinyl, which accounted for the birth of hip hop but leaned more toward rock ‘n’ roll. To prepare for his role, Abdul-Mateen worked on his moves four to seven hours a day. After spending his early childhood in the Magnolia housing projects, he moved to Oakland, California. “But New Orleans is one of those places that doesn’t leave the house,” he said. The choreographers Rich and Tone Talauega, brothers who have worked with Madonna, Michael Jackson, Usher and Justin Timberlake, oversaw Abdul-Mateen’s development into a credible ’70s-style dancer. A sense of authenticity will be crucial to the show’s success. Those familiar with its setting are likely to watch closely, given that its Australian creator’s background is so different from those of the characters on screen. Luhrmann brought aboard Grandmaster Flash and Kurtis Blow to school the cast members and keep the look and atmosphere correct. “He doesn’t claim to be an expert,” Abdul-Mateen said of Luhrmann. The actor has come to appreciate his character’s vintage style. A typical workday in the dance studio began with hamstring stretches, many of them the same as the ones Abdul-Mateen did when he ran track at Berkeley. The key for era-appropriate dancing, he learned, is the hips. The Get Down begins streaming on Netflix on August 12.